Mo Farah will be joined by a host of Great Britain’s medal-winning stars from the European Cross Country Championships for the Great Edinburgh XCountry in the New Year. Senior gold medallists from the Euro Cross, Sifan Hassan and Ali Kaya, will be headlining the European charge in the Scottish capital after commanding cross-country performances in the south of France. Under-23 gold medallist Jonny Davies will head into the event on January 9 in good form after his victory in Hyeres, hoping to improve upon his 29th-placed finish in the senior men’s category from this year. Senior women’s silver medallist Kate Avery will also head to Edinburgh with high hopes along with 2014 Euro Cross champion Gemma Steel, who finished eighth at last weekend’s Euros and 11th in Edinburgh back in January this year. 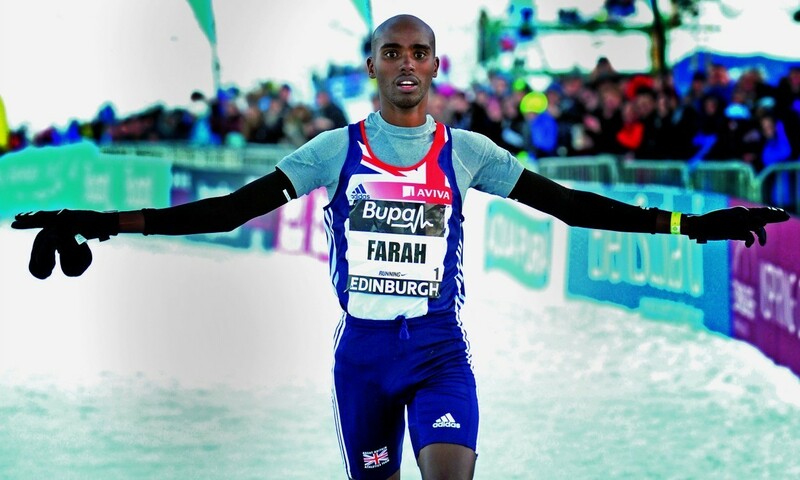 Farah, who is looking to defend his 5000m and 10,000m Olympic titles in Rio next year, will make his first appearance in a cross-country event since 2011 and said: “It will be an important year for me in 2016 and I’m looking forward to returning to the Great Edinburgh Cross Country to kick off my season. Great Britain’s team captain from the 22nd edition of the European Cross Country Championships, Tom Lancashire, also joins the GB senior team alongside fellow medallists from France Ross Millington, Jonny Taylor, Jonny Hay, Dewi Griffiths and Richard Goodman. Representing GB for the senior women’s team with Avery and Steel are their senior team gold medal-winning compatriots Elle Vernon and Lauren Howarth as well as under-23 overall winners Jenny Nesbitt and Rebecca Murray. Junior silver medallist Harriet Knowles-Jones, who also finished fifth in Edinburgh last year, has also been selected once more to represent her country at junior level with European 1500m junior champion Bobby Clay. World 1500m finalist Charlie Grice has been selected as part of the GB 4x1km mixed relay team with European junior 800m champion Kyle Langford. Joining the male duo are Charlene Thomas and Kate Holt, who will be hopeful they can go one better than Britain’s second-placed finish from 2015. Hassan, the 1500m bronze medallist from the Beijing World Championships, and Kaya will head to Edinburgh with strong chances of repeating their recent successes from France. To see the full European team click here. The Great Edinburgh XCountry will be broadcast live on BBC One and BBC One HD from 13:00-14:30 on January 9.